Leaf Relief mounts securely to the gutter system, resisting damage from high winds, heavy snow and ice. The tough aluminum construction of Leaf Relief is indelible and resists damage from bugs, squirrels, raccoons and birds! Leaf Relief's unique design ends routine gutter cleaning, lowering maintenance costs and hassles! No more dangerous trips up the ladder! 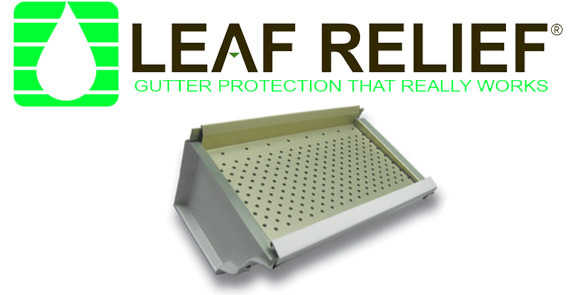 Put an end to your gutter cleaning days with Leaf Relief! Will not chip, crack, dent, or change color.